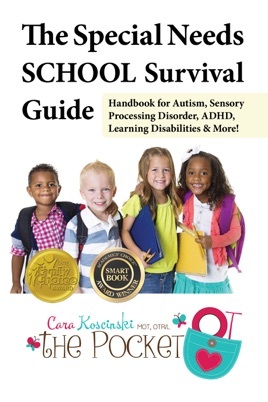 Handbook for Autism, Sensory Processing Disorder, ADHD, Learning Disabilities & More! Cara, a pediatric occupational therapist has first-hand experience from working with her own children and in her profession. This book is an all-important resource for parents, caregivers, therapists, speech-language pathologists, physical therapists, doctors, principals, teachers, teaching assistants, classroom aids, etc.